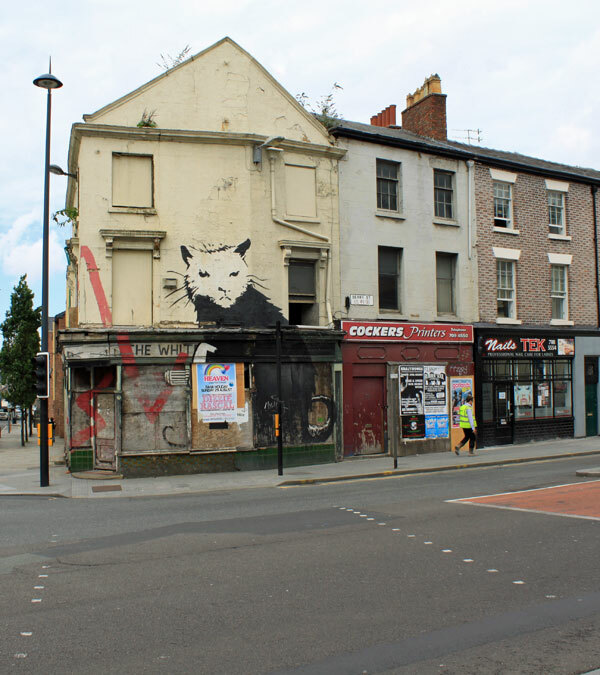 Two photographs this week both of the Rat painted in 2004 by Banksy as part of the Liverpool Biennial on the derelict White House pub on the corner of Duke Street and Berry Street. It’s hard to tell now what the rat is holding as one of the original boards is missing. Some (especially journalists who have never seen it in person who just repeat the first newspaper article they find in Google without checking facts) say it’s a machine gun. I suppose that fits their world view nicely. I can see how they think that but it’s not. 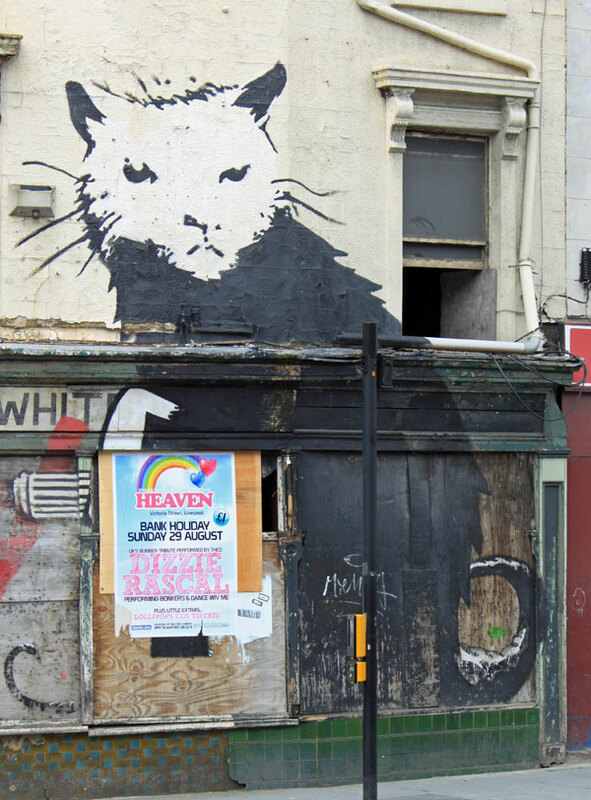 Looking at a picture of it before it aged the object the rat is holding is clearly a marker pen. Sadly the red tip has been worn away and the middle board has been replaced.